The Telos Group » What does it mean to be a peacemaker in the wake of Charlottesville? What does it mean to be a peacemaker in the wake of Charlottesville? Many of us are still reeling from the events of the past few days. 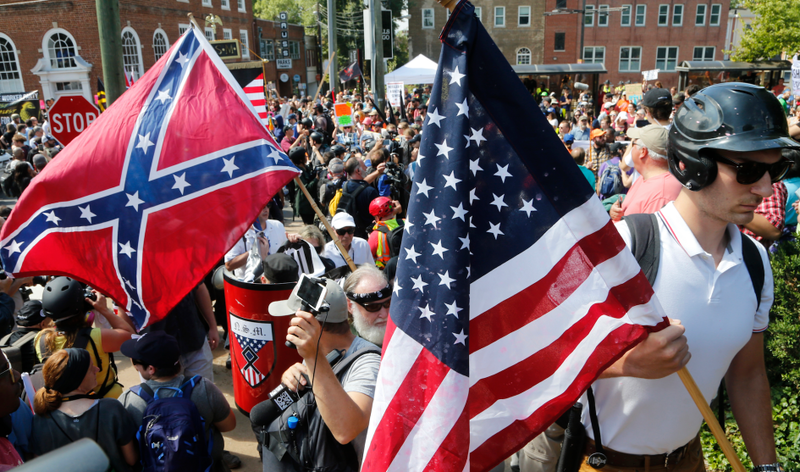 The images of Nazi and Confederate flags on parade through the venerated University of Virginia campus, accompanied by racist and anti-Semitic chants, is a warning sign that all is not well in our body politic. Dark and ominous clouds gather as those animated by fear, hatred and poisonous ideologies step boldly into the public square. Our hope of course is that once their reprehensible views are given the light of day they’ll be roundly rejected. But 21st century America is so divided that unity and consensus are hard to achieve. What’s a peacemaker to do at a time like this? When the President of the United States condemned “hatred, bigotry, and violence on many sides” some have wondered if he is echoing the approach of peacemakers who are taught to first listen to various points of view and resist taking one side over and against another? Well, no. Which is why it’s critical for those committed to being peacemakers to declare what they mean and employ what they know in the wake of Charlottesville. We talk a lot at Telos about not choosing a side. That admonition is aimed at humanizing all individuals involved in a conflict, but it does not release us of our obligation to renounce violence and to oppose ideologies based on claims of racial and ethnic superiority. To refuse to “choose a side” based on these claims opens us up to choose the side of peacemakers from all sides, to stand with those who embrace universal human dignity and reject ideologies and systems that divide and repress. We know how important it is to listen. We listen to better understand, in a posture that recognizes the humanity of those with whom we disagree. But we don’t assume that all points of view are equally true, equally valid, or equally moral. These angry white men in Charlottesville marched under the banners of failed, murderous and morally bankrupt ideological regimes: the American Confederacy and Nazi Germany. They operate from a worldview of white supremacy, and their fears over the loss of position and privilege have been affirmed and emboldened by political leaders who profit from division. The community they’ve created rejects the basic supposition that all are created equal and that each human being bears the image of the God who made us. They nurse grievances, fill their minds with theories of their own racial superiority, and imagine grand conspiracies to account for their perceived victimhood. Their hatred and anger poison the well of our common life, and though they are small in number their sense of empowerment and their potential for destruction demand from us a response. Cast a vision. We have to tell better stories, cultivate a diverse set of relationships, and live lives that embody our values, remembering that peacemakers serve as signposts for the way the world was meant to be. Learn and self-interrogate. We must educate ourselves about the systems of oppression and the experiences of those who are suffering the consequences of conflict and violence, de-humanization and injustice. And we should channel some of our anger and sorrow into contemplative acts that consider our own biases, privileges, and participation in injustice. Our own personal reckoning and transformation is a precursor to courageous actions aimed at changing hearts, minds and broken systems. Stand in solidarity with the vulnerable. We must reach toward the edges— inclining to those who bear the weight of oppressive structures— and listen to their stories, join in their visions and projects, and advocate with them for the creation of more just and flourishing communities. Speak courageously, with love. Martin Luther King, Jr. famously said, “In the end we will remember not the words of our enemies but the silence of our friends.” This is not the time to be silent. But as we vigorously oppose ideologies of hate and systems of injustice, we do it in a spirit of courage, and humility and love. Courage forces us into the public square and allows us to speak truth to power, humility prevents us from becoming self-righteous angry activists, and love give us the power to hold these things in tension and seek the common good. Many of us have a choice. We can withdraw, we can flail and rage against the darkness, or we can find a way to create a diverse community which confronts the divisions and wounds of our age in the posture of peacemakers. Let’s commit our energies to the creation of a diverse community of peacemakers. This is the time.